Explanation: Several key conditions came together to create this award-winning shot. 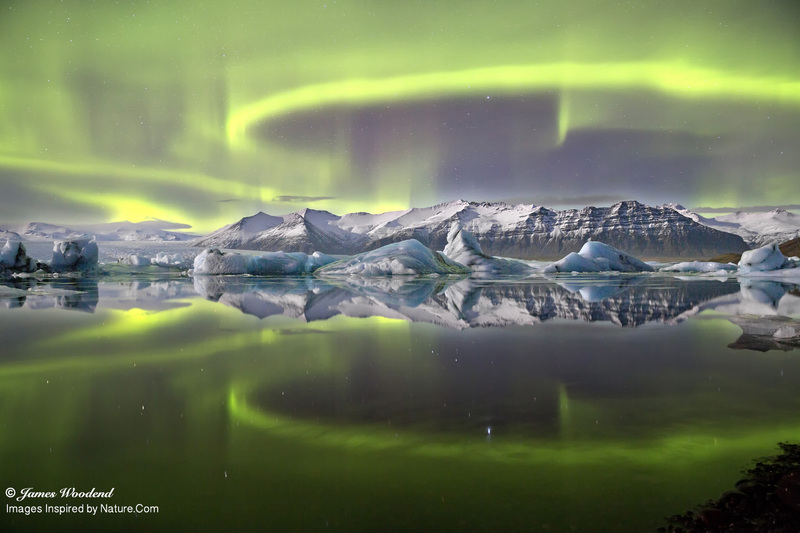 These included a dark night, few clouds, an epic auroral display, and a body of water that was both calm enough and unfrozen enough to show reflected stars. The featured skyscape of activity and serenity appeared over Iceland's Vatnajökull Glacier a year ago January, with the Jökulsárlón Iceberg Lagoon captured in the foreground. Aurora filled skies continue to be common near Earth's poles as our Sun, near Solar Maximum, continues to expel energetic clouds of plasma into the Solar System.